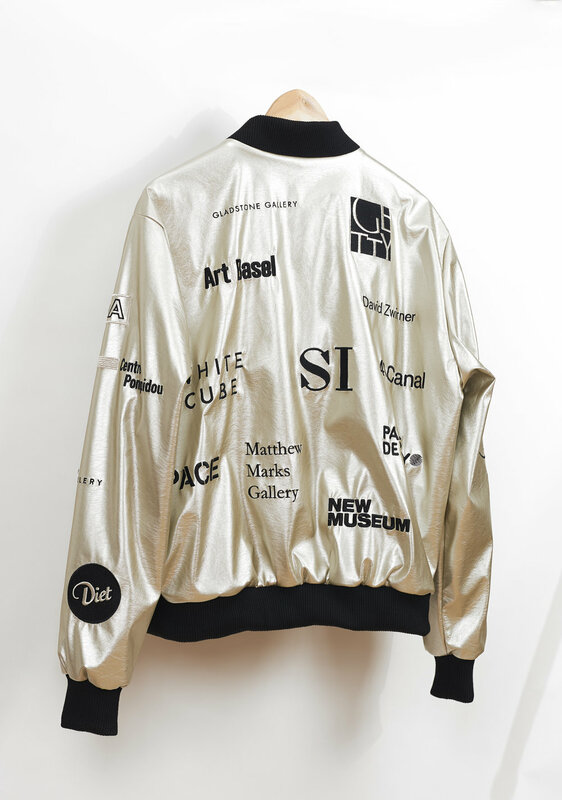 Mackenzie Younger's new series Jackets explores ideas around commodity culture and social-economic ecology within the art world. 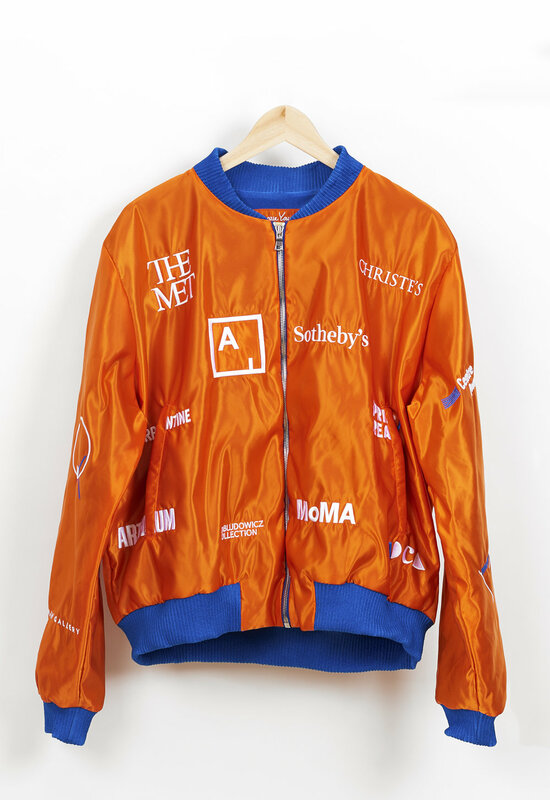 The jackets, influenced by urban fashion and sporting gear of Younger's youth are both functional articles of clothing and conceptual art objects. 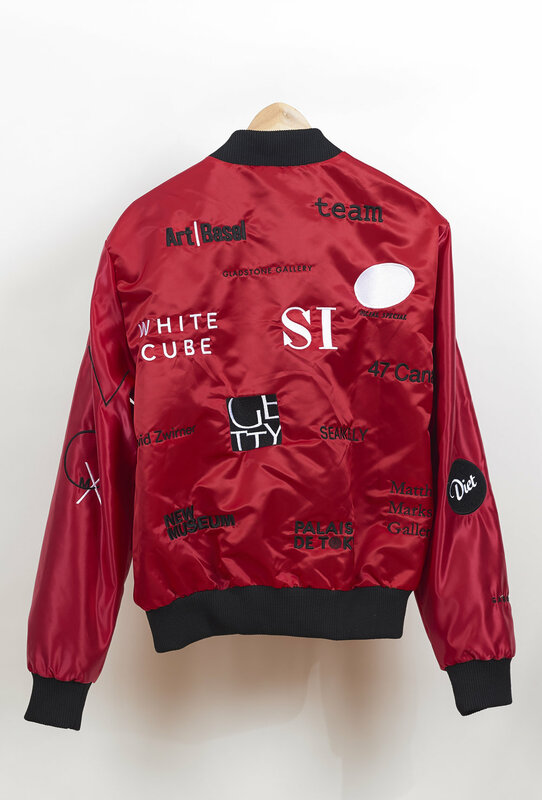 They serve as a vehicle expressing the artists belief that fashion and exposure dictate more than aesthetic or talent in the art world, and provide an empowering mobility that artist uses to engage a desired audience without institutional endorsement. 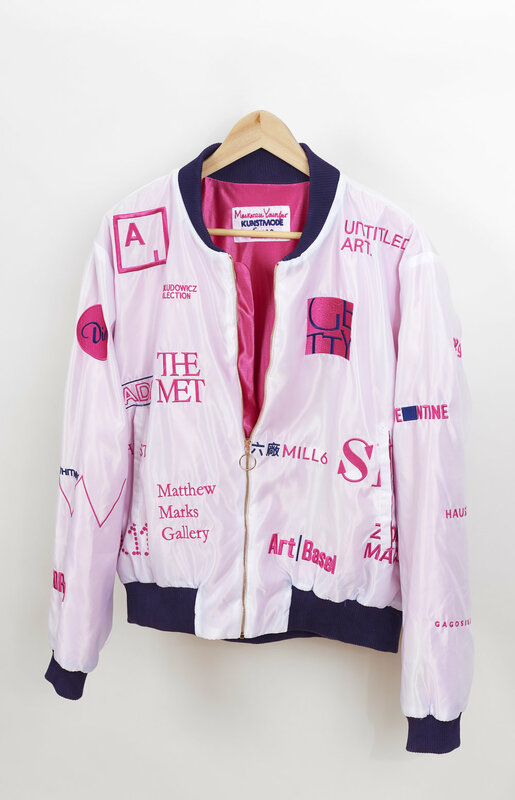 The use of appropriated gallery and museum logos on each jacket are neither an assault or appraisal of their individual value but an exercise in marketing aesthetics. Testing ideas of ownership and playing to the subconscious joy of recognition and spectacle which the public participates in. Younger intends to use this highly anthropological process and navigation through a cultural landscape to inform his larger practice as an artist and inspire other work in the series.